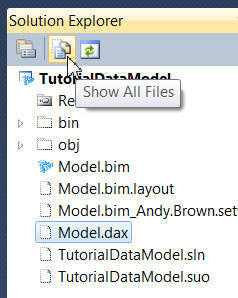 DAX Editor is a Visual Studio add-in which allows you to list all of the measures in your model. It also allows you to create and edit measures, but I can't ever get this to work reliably! I'm reluctant to criticise this add-in because it may be my ignorance which is stopping me using it effectively; all I can say is that my experiences haven't been good. You can download DAX Editor from this site, but an easier way is directly from Visual Studio (the menu options below are for 2010, but I'm pretty certain they're similar in 2012, 2013 and even 2015). 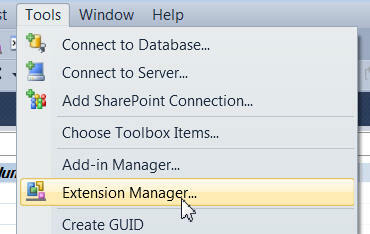 Choose this menu option to enable extension manager. You'll obviously need a connection to the Internet to do this. 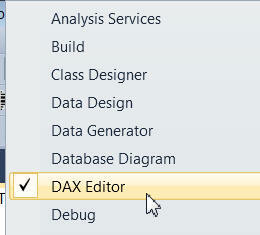 Finding DAX Editor in the available Visual Studio extensions. Click on this button to download the editor. One way to restart VS is to click on the button at the bottom right. The error message I get is typical of my experiences with DAX Editor. 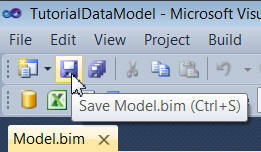 Make sure that you've saved any changes you've made to your model. This extra menu option only appears when you install DAX Editor. You now have a record of which measures are in your model. Click on the icon shown to display all files for a model. Right-click on a toolbar and choose this option to show the DAX Editor toolbar. In theory, you can click on this tool (the menu command doesn't show up on my laptop) to save this measure to your model. In practice, I can't get this to work. 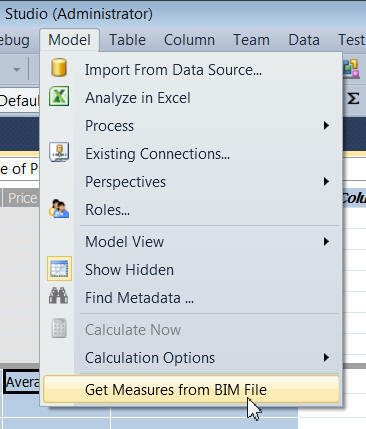 My advice would be to try this tool out yourself - if I could ever get it to work as in the documentation, it would be a wonderful addition to SSAS Tabular.